This week, a driver in neighboring Manatee County caused a four-vehicle accident after she fell asleep at the wheel late at night. The motorist drifted into another lane after falling asleep and struck three other vehicles. The accident raised the question of how to prevent drowsy driving accidents, a dangerous form of impaired driving that’s on the rise. This accident is just one example of drowsy driving. More than one-third of Americans are getting less than optimal sleep, according to the U.S. Centers for Disease Control and Prevention. That means that over 83 million sleep-deprived drivers are on the road daily. And the consequences are deadly — a new report issued by the Governors Highway Safety Association found that about 5,000 people died in drowsy driving-related accidents in 2015. It can be difficult for a person to gauge whether they are too tired to drive. Worse yet, many of the people most affected by drowsy driving are those who must work long irregular hours or night shifts for a living, such as health care workers, commercial motor vehicle operators, police officers, and EMS providers. For these workers, driving at night after a long shift at work can be unavoidable. Regardless, it is essential to know the telltale signs of drowsy driving. That way you are able to protect yourself and other motorists around the region. What Should I Do If I’m Too Tired to Drive? Roll up your windows, lock the doors, and take a 15-20 minute power nap. When you wake up, have some caffeine and be wary of any post-nap grogginess before operating your vehicle again. Brief exercise after a nap can also help you to wake up. 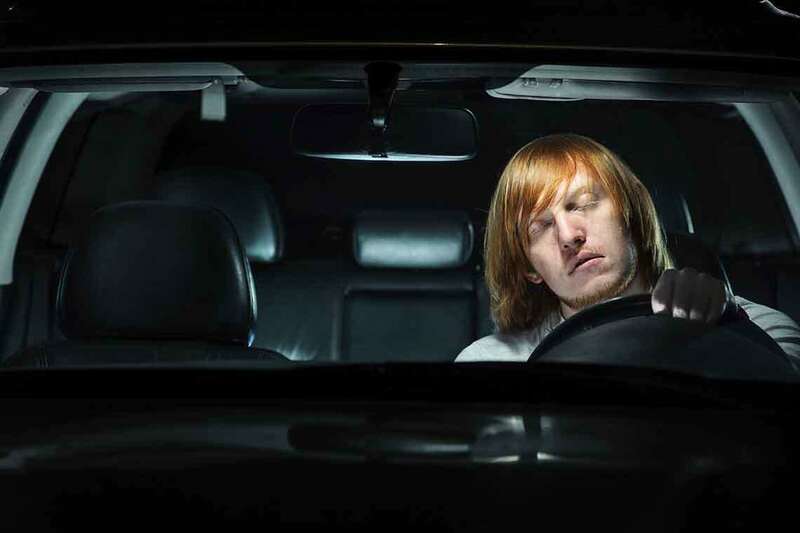 The best way to reduce the likelihood of drowsy driving is to be well-rested. Some experts say that seven to nine hours of sleep is optimal for adults. In addition to getting enough rest, plan around your long or late night car drives. Try to drive with a companion who can look out for the warning signs of drowsy driving and take over the wheel if necessary. Be sure to also avoid medications that may impair performance of motor vehicles, such as allergy medications and cold medications. Above all else, consult your doctor if you suffer frequent sleepiness when at the wheel, as it may be a sign of a disorder like sleep apnea. It could save your life and the life of others. Have you or someone you love been hurt in a car accident caused by the negligent actions of another motorist? We can help. Read more to learn how our car accident lawyers in Sarasota can help you recover the full compensation you are entitled to after a serious accident. If you are ready to pursue a claim, fill out our free, no-risk case evaluation form today.